Ever have one of those magical lazy days? Where it goes by so peacefully slow and the only requirement is pajamas? Yeah, me neither. But I can imagine they would be a lot like most of this book with its slow pacing, lazy country days, simmering attractions, and budding friendships. I recommend reading the synopsis because it does a great job of setting the stage. As the book starts, Hal is meeting Margaret’s (his fiancé) family at their country estate. Clearly, Margaret didn’t fully prepare her family and all were surprised-especially Julian, her cousin. He is taken right away with Julian’s looks but must keep his eyes on the prize. Hal was an orphan and has always craved security in a life that lacked control, funds, food, love, and shelter. He truly cares for Margaret in the way you would a dear friend. Unfortunately, Hal didn’t account for Julian. Julian is a self righteous arse that falls in line with the high society gentleman in London. He swoops in on his high horse and stays there for the first part of the book. He sees past Hal’s gentleman appearance and distrusts him immediately. Rightfully so, but it seems he’s most angry about his attraction to someone he can’t have. Margaret decides they need to extend their stay due to family obligations and Julian is all too eager to stay as well and find the truth about Hal. But… on those lazy country days and against Julian’s better judgement, the men form a connection. Each know they are hiding something and find it impossible to resist the strolls, talks, and discussions on books and history. Their chaste interactions become thick with desire. The desperation they felt in a simple holding of hands made my heart ache. They were so different yet the same in their wish to be understood and loved in a world where their “proclivity” wasn’t tolerated. Although Julian and Hal unknowingly gave their hearts, the dark cloud of deception wasn’t ever far from sight. Julian has to reconcile the Hal he grew to know with the actual Hal. Or are they one in the same? Hal is painted in negative light from the beginning and yet I understood and maybe even accepted his reasons. While his intent was deception, it wasn’t malicious. He wants a family to visit at Holiday, a place to hang his hat, children, and a companion. The beginning of this book dragged a bit for me. Not much happened beyond talks, strolls, and riding. I did enjoy the progression of Julian and Hal’s relationship and the challenges they faced to get their HEA. The pacing picked up around 45% and it wasn’t long before I became fully invested in the characters, Margaret included. The way Hal and Margaret’s engagement/relationship was handled the second half was refreshing. The second half of this historical drew me in and I was able to overlook *most* of my feelings about the sleepy start. I fell for the characters and even embraced the deception with heart eyes for Hal. 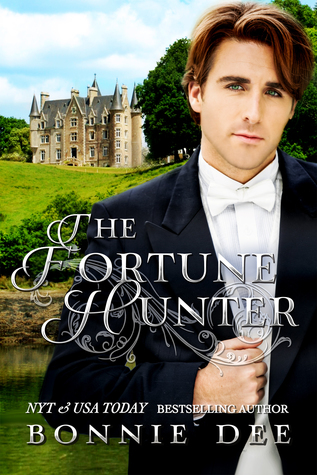 Recommended for fans of historical romance.